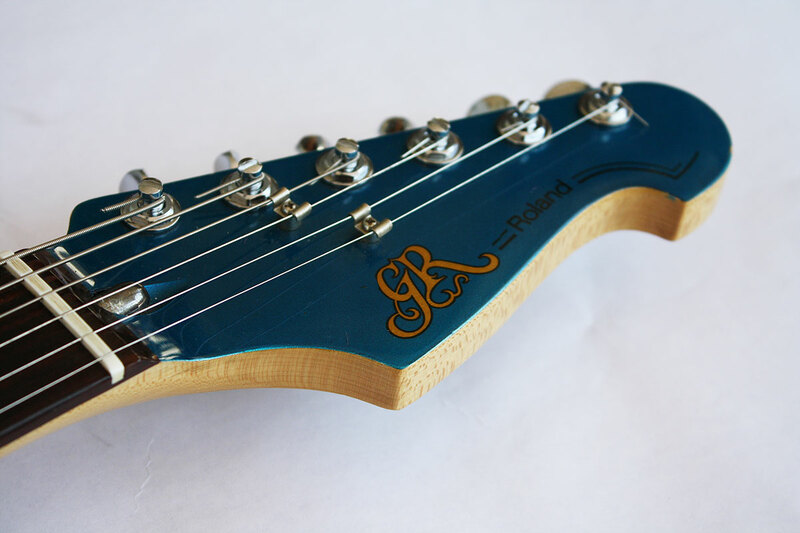 Guitar players who love the feel of a Fender guitar but wanted to explore synthesis were immediately taken with the Roland G-505. 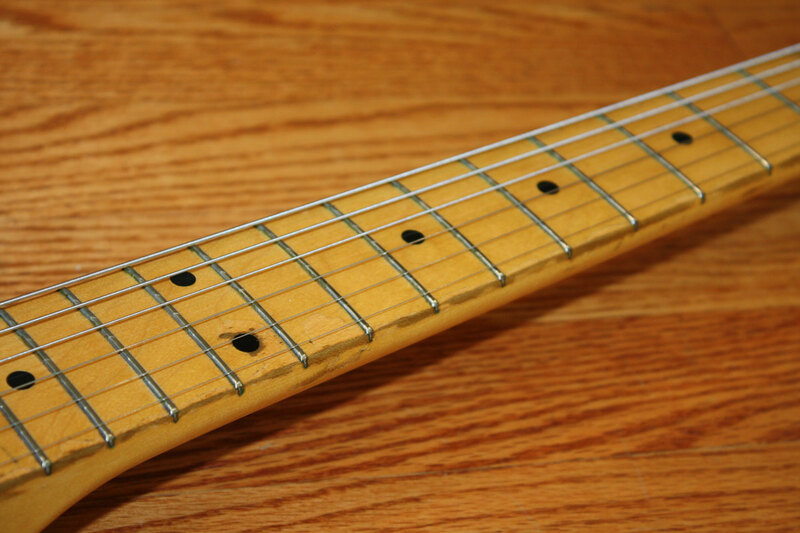 The G-505 has classic Fender lines with a satisfyingly chunky maple neck bolted to a lightweight ash body. 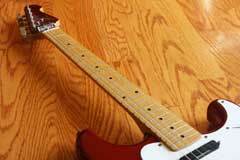 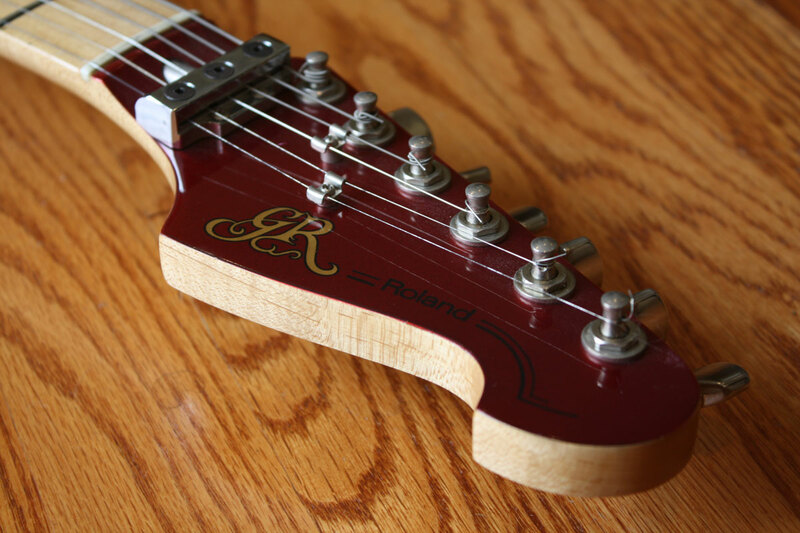 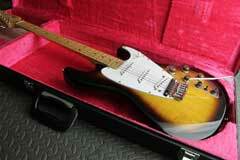 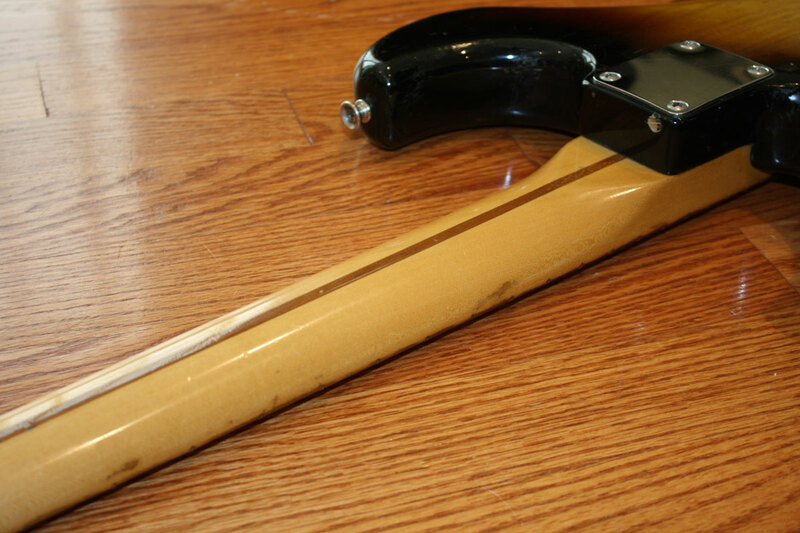 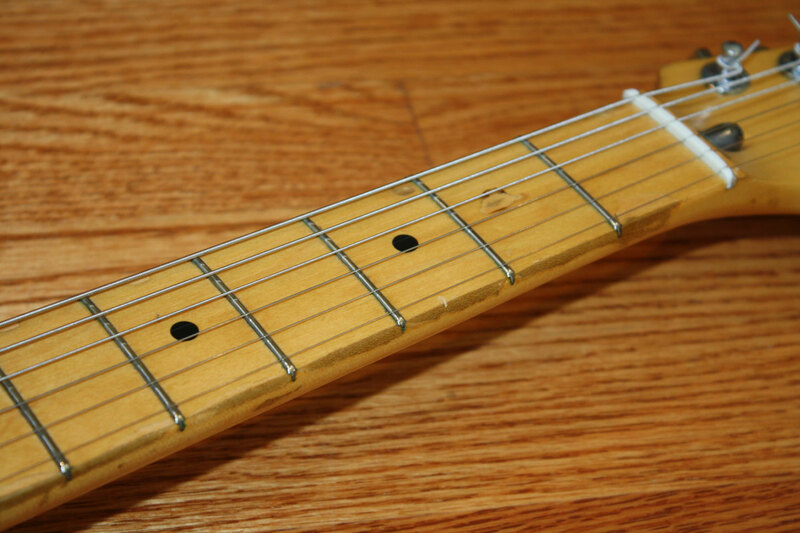 The majority of the guitars shipped with traditional all maple necks and fretboard, but there was also a rosewood option. 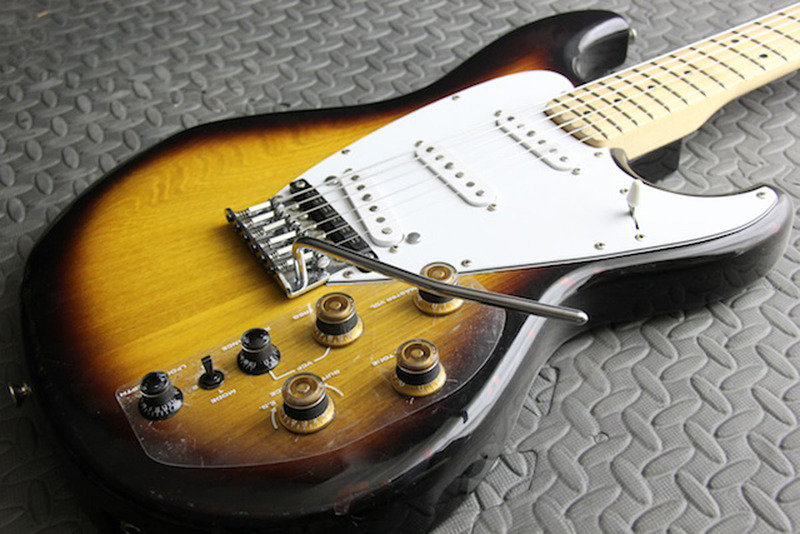 In addition to accessing the world of vintage 24-pin synthesis, the three single coil pickups did a great job of capturing the wide range of Fender strat sounds as well. 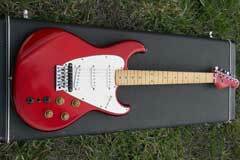 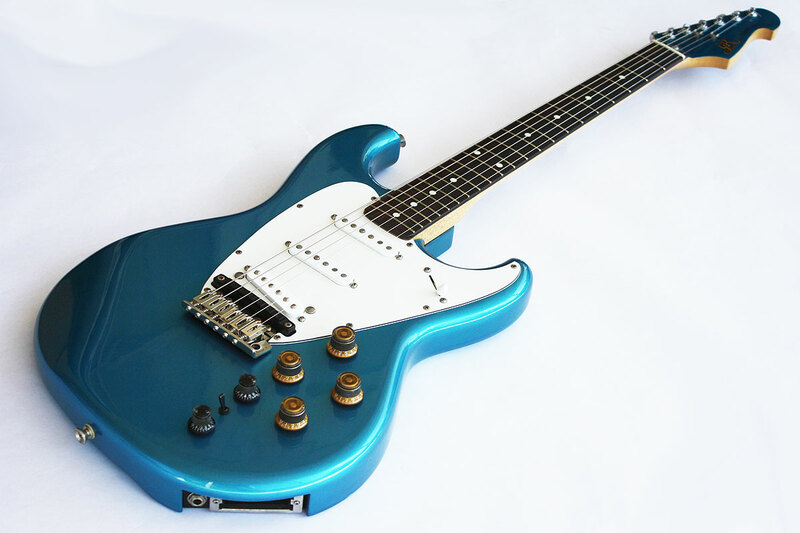 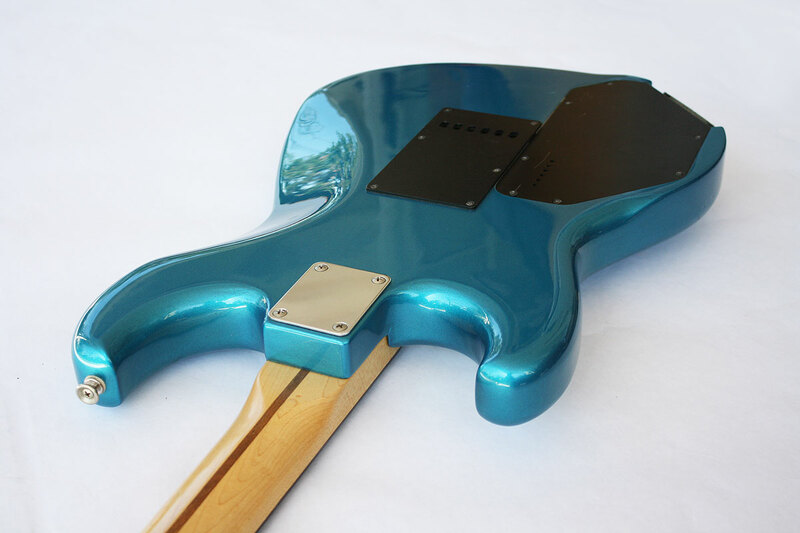 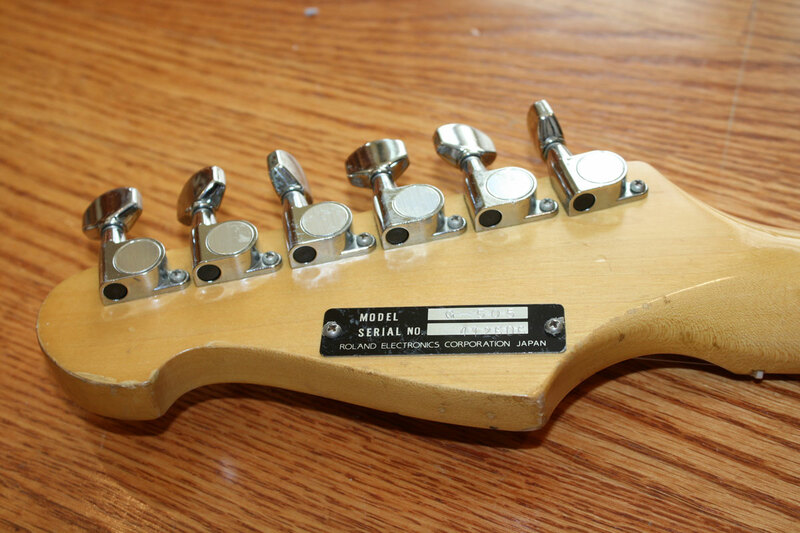 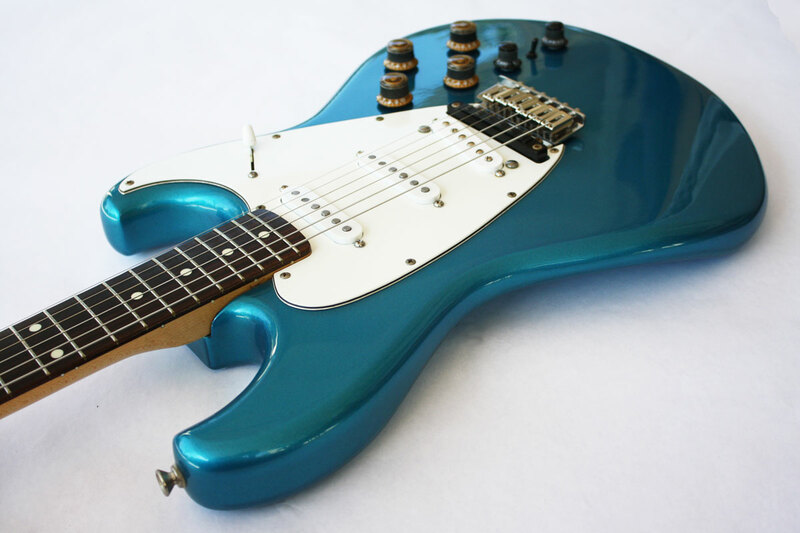 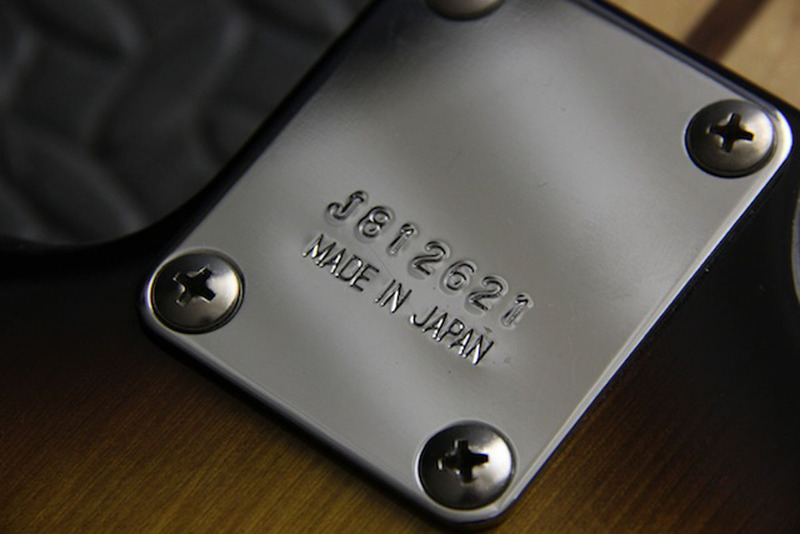 The fact that the G-505 is such a great representation of Fender stylings should come as no surprise to those aware of the history of the guitar's builder: the Fujigen Gakki factory had experience making quality Japanese Fender clones, and for years this same factory built Fender guitars for sale in the Japanese market. 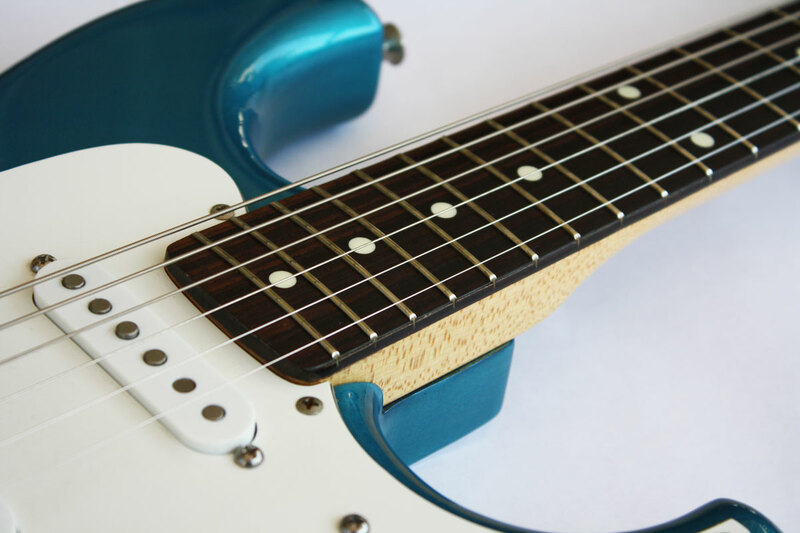 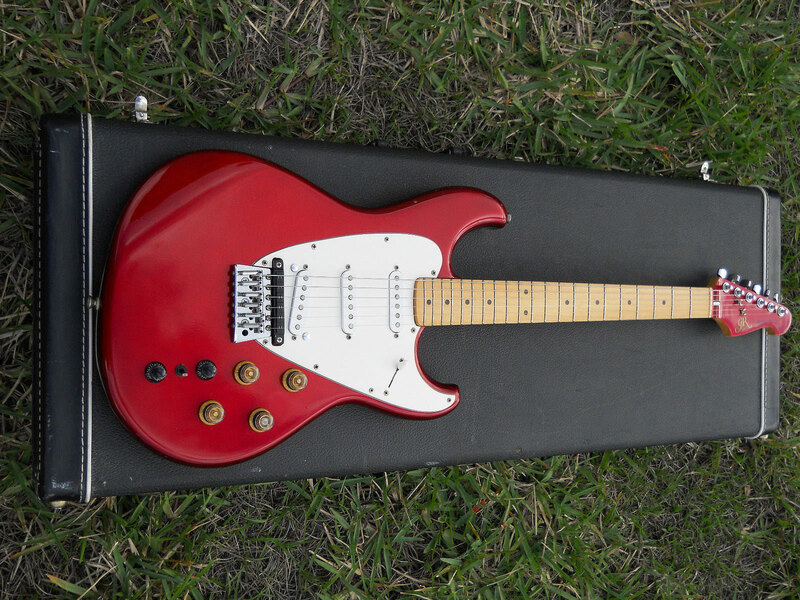 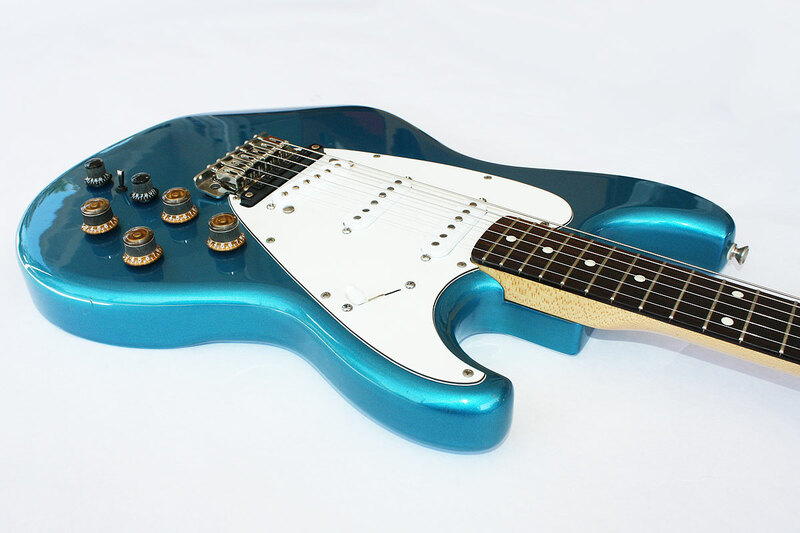 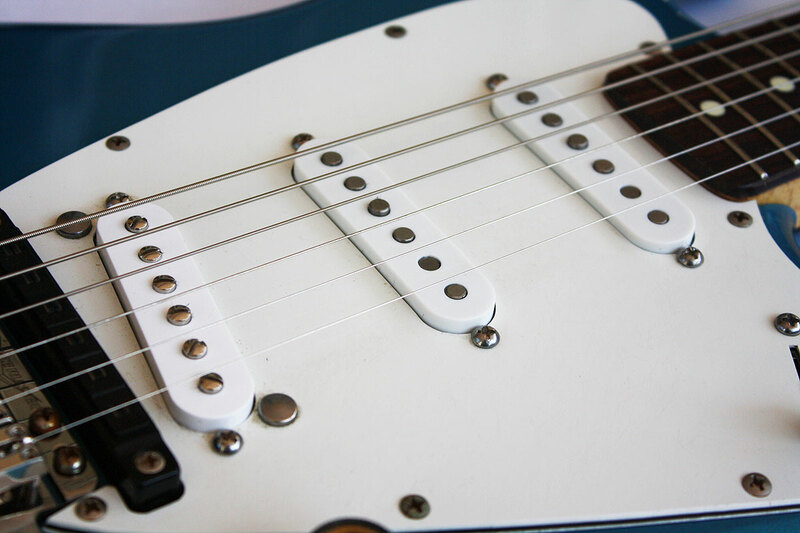 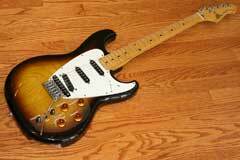 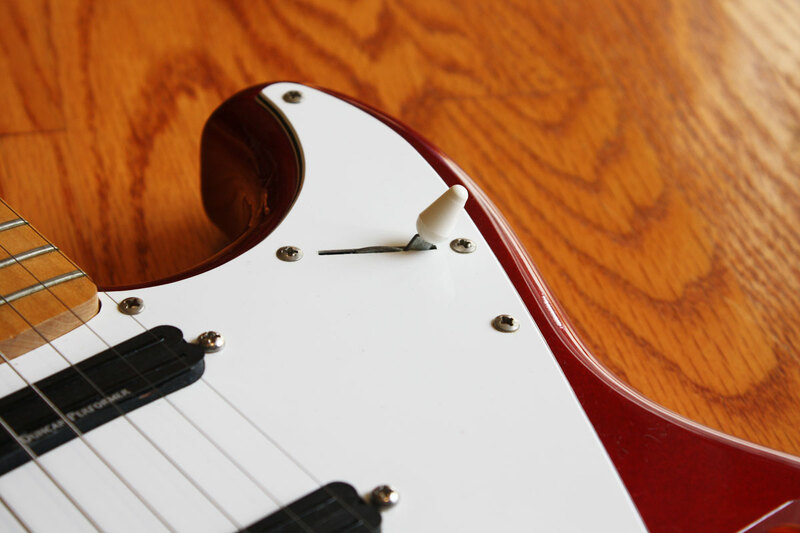 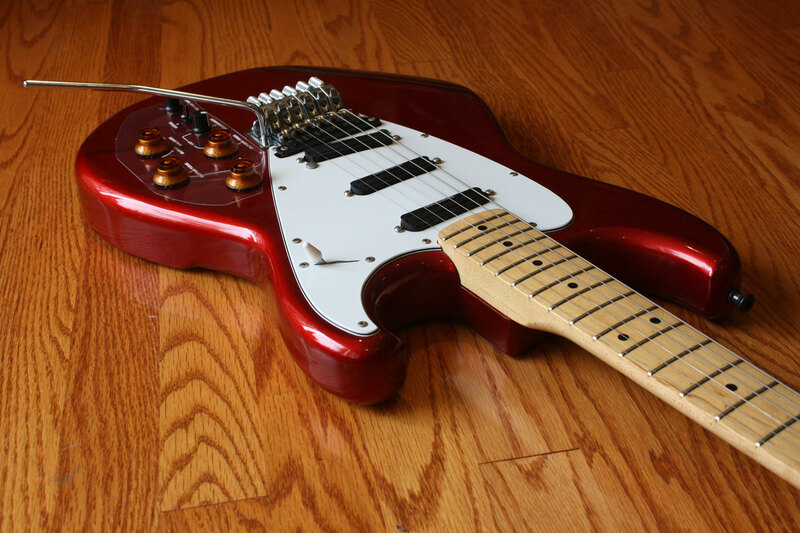 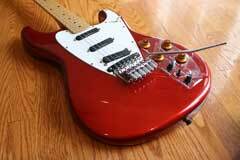 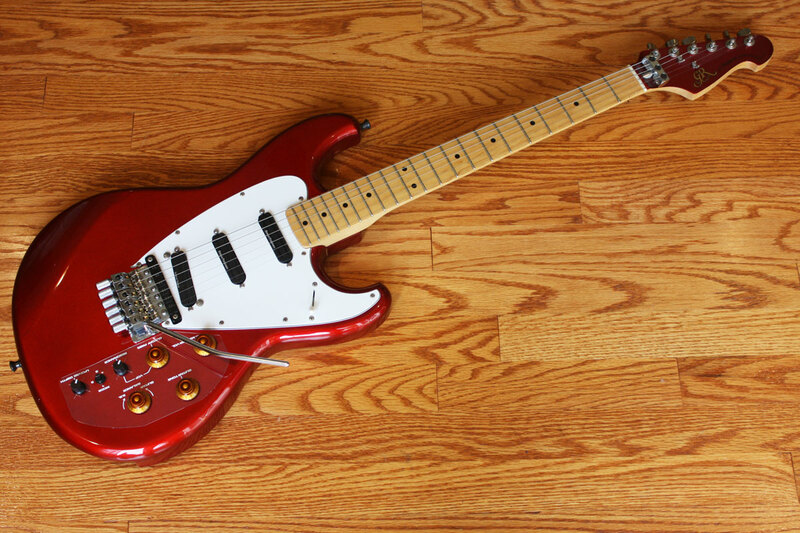 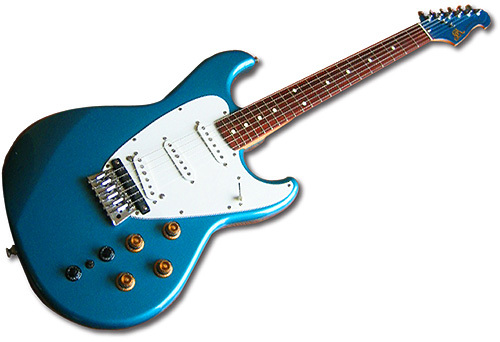 Perhaps because there are such a wide range of after market products for Fender guitars, the G-505 has the distinction as the most modified vintage Roland guitar. 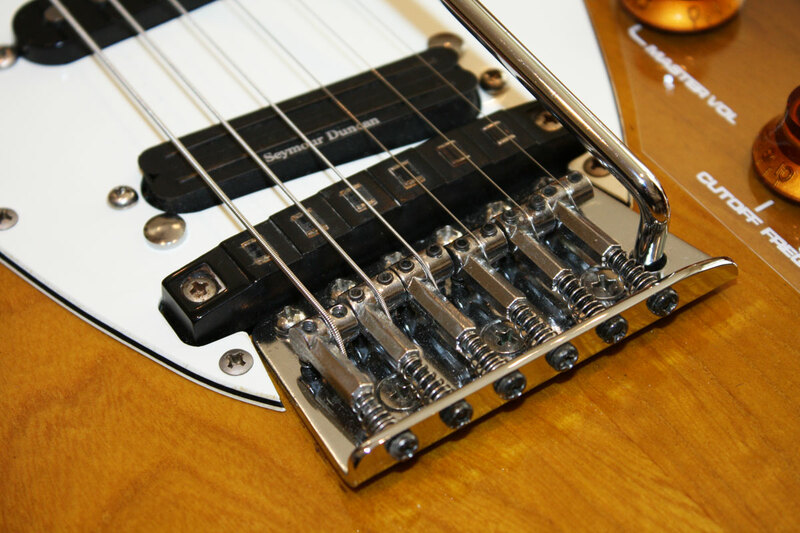 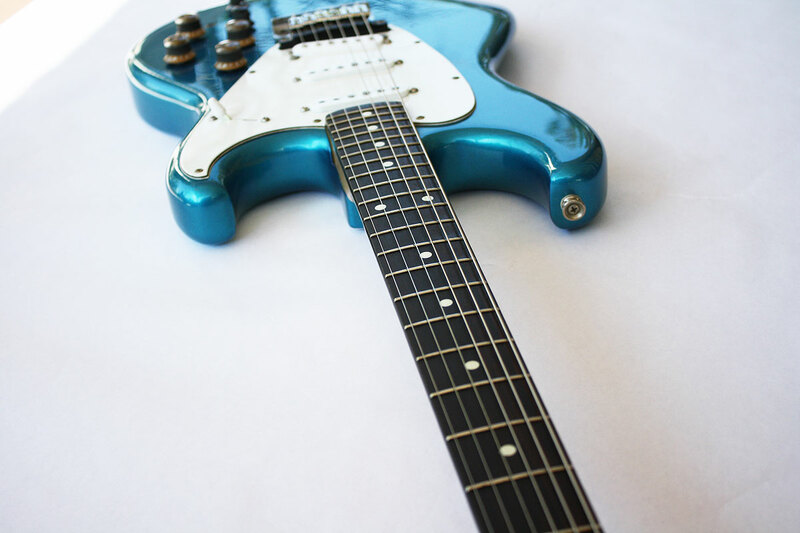 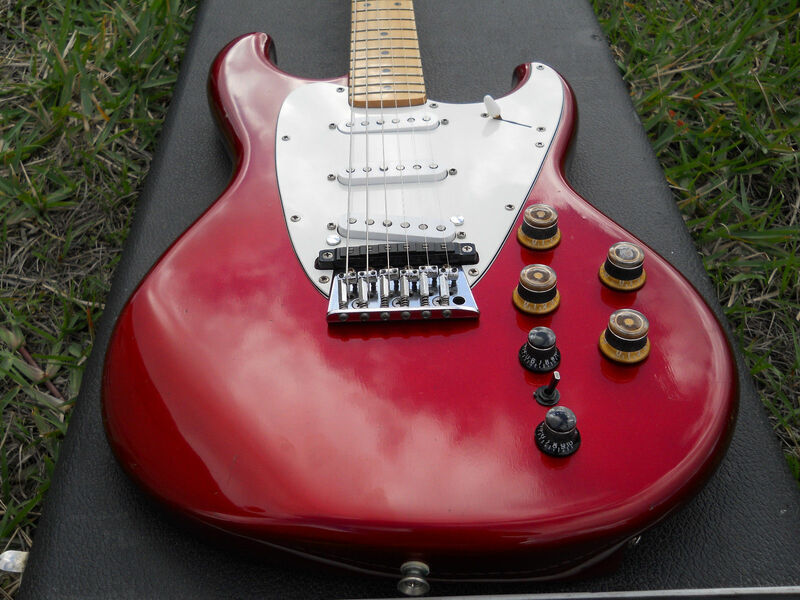 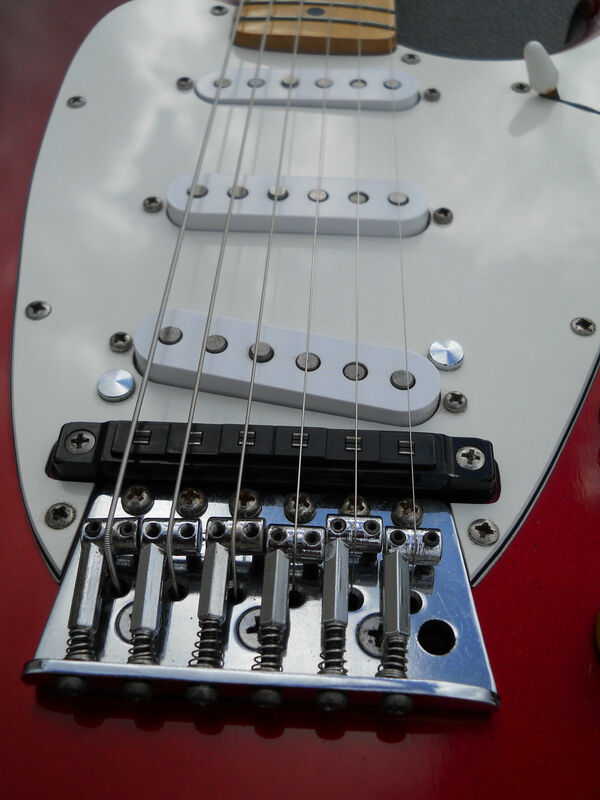 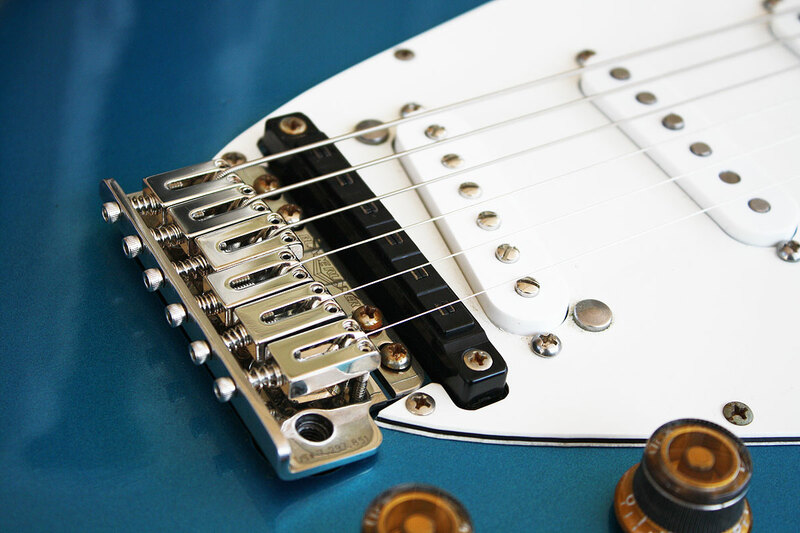 While the original Roland tremolo works fine, and has the range and tuning stability of a typical Fender guitar, quite a few of the guitars you find for sale on ebay have the original tremolo system upgraded with a Kahler or Floyd Rose trem. 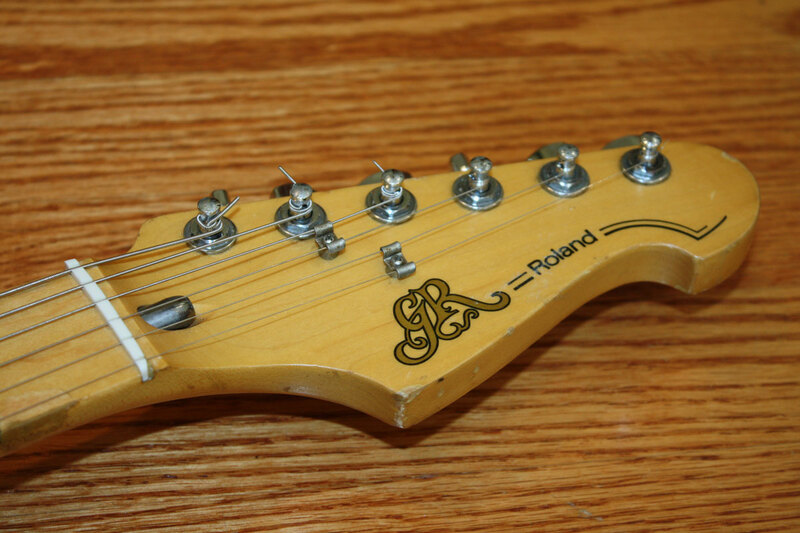 Pickup changes are also very common. 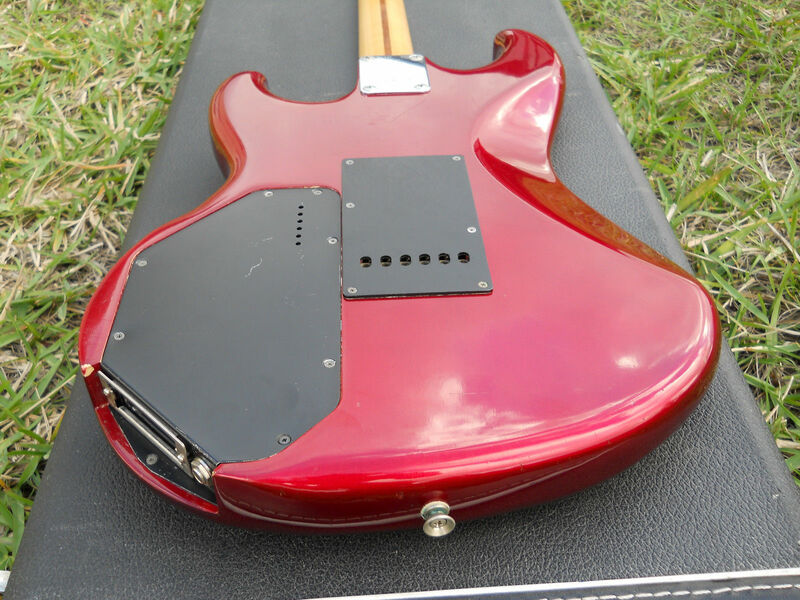 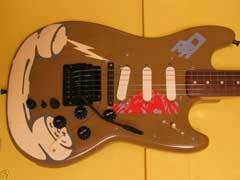 Given that this guitar was sold in the eighties, it seems that many players were also tempted to replace the bridge pickup with humbucker. 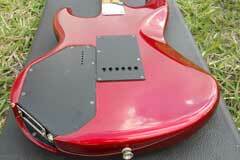 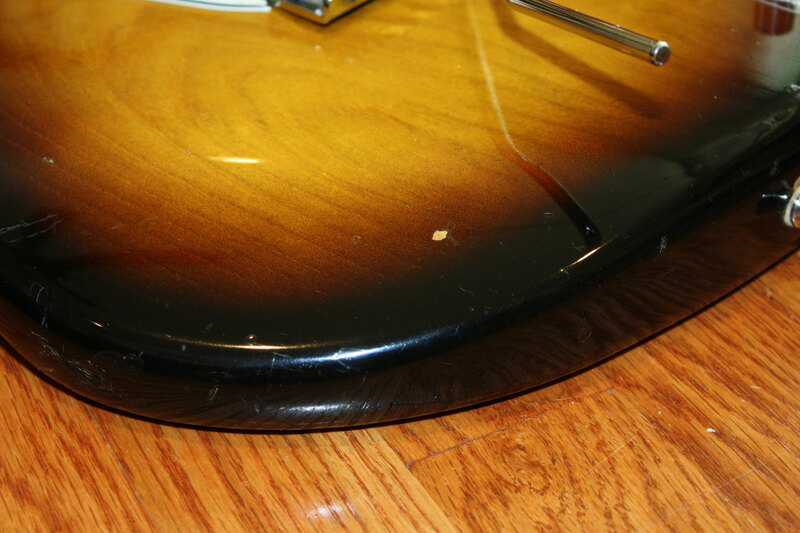 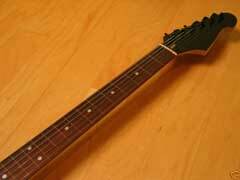 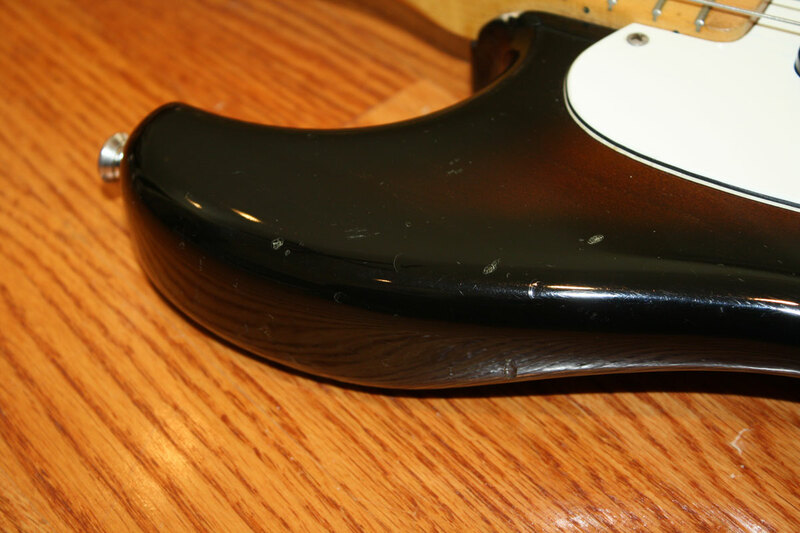 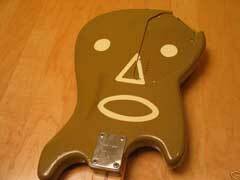 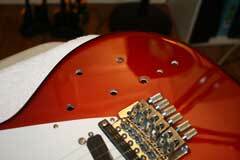 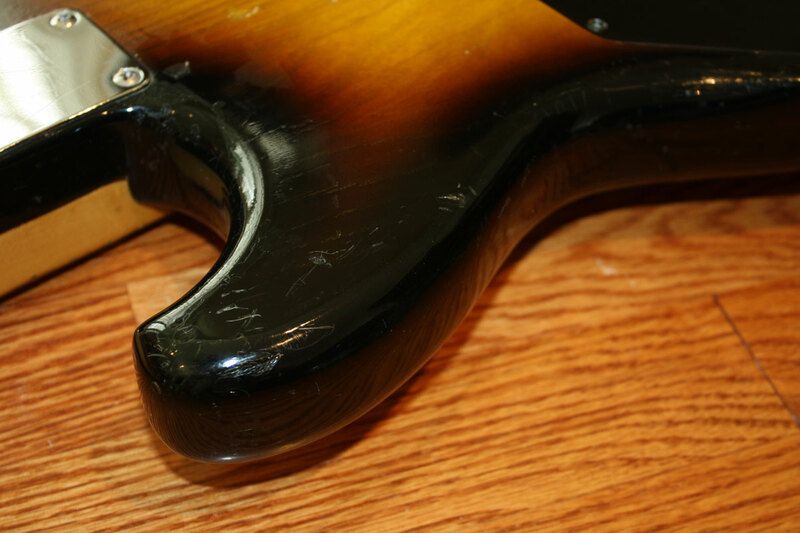 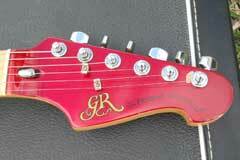 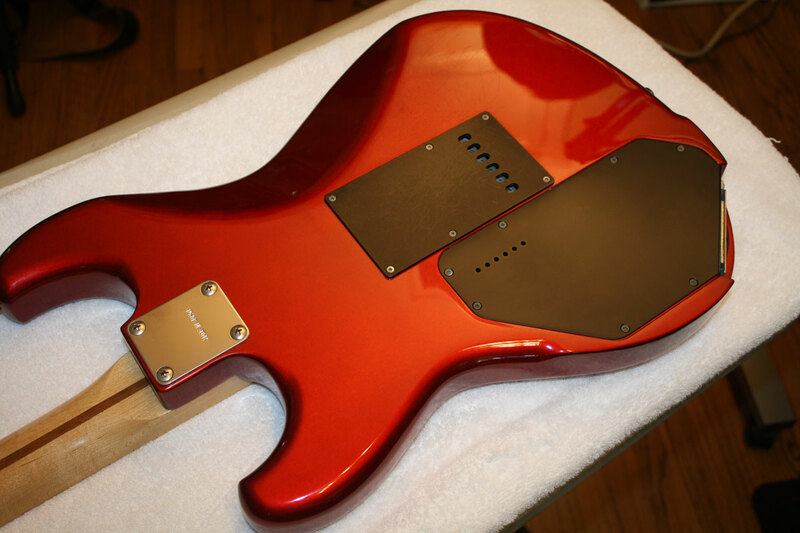 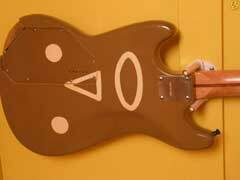 And a new neck on the G-505 was only four bolts away! 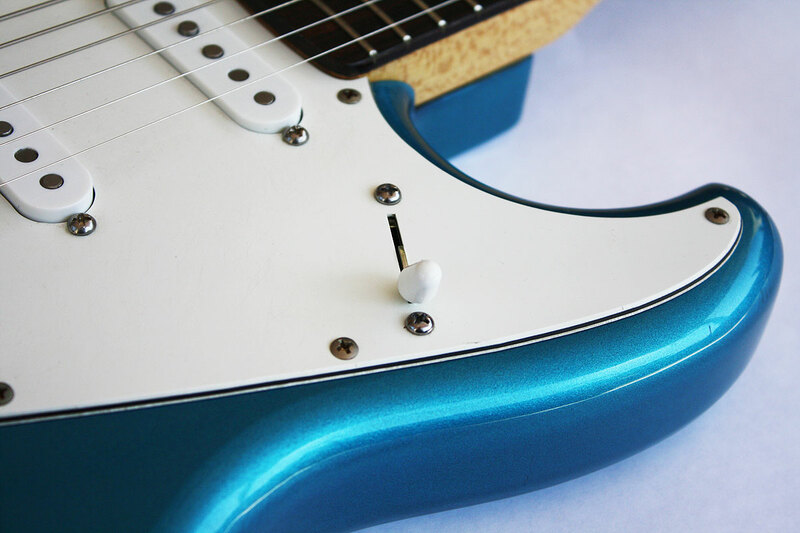 While the G-505 generally stays faithful to the Fender aesthetic, there is one interesting change: the passive volume and tone controls use 500K pots. 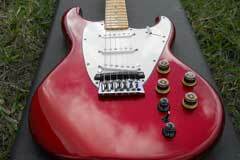 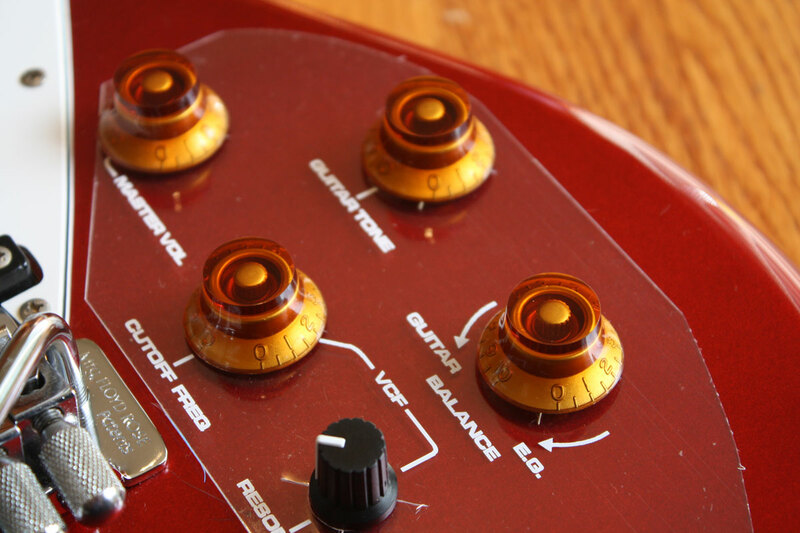 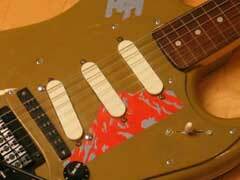 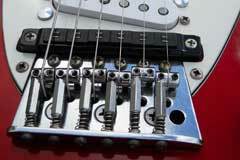 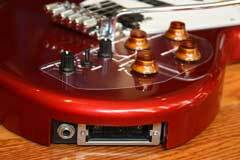 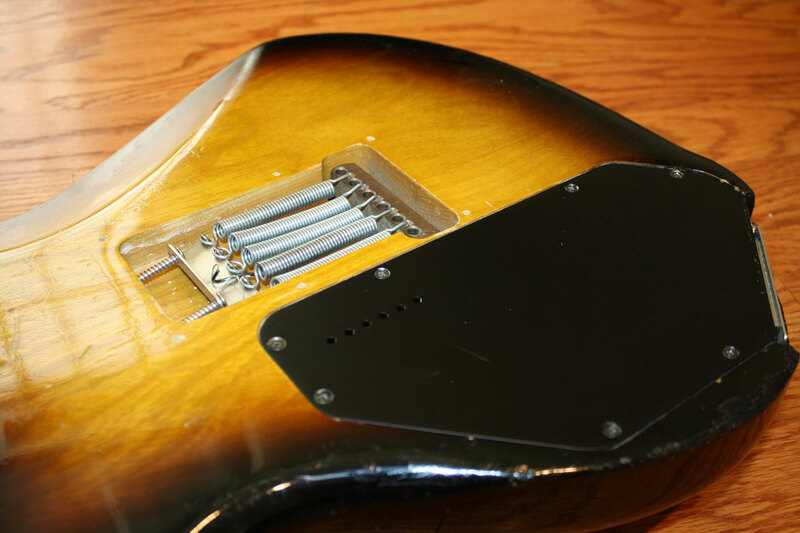 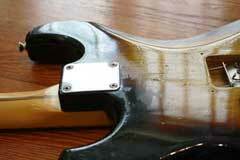 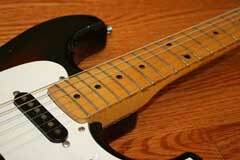 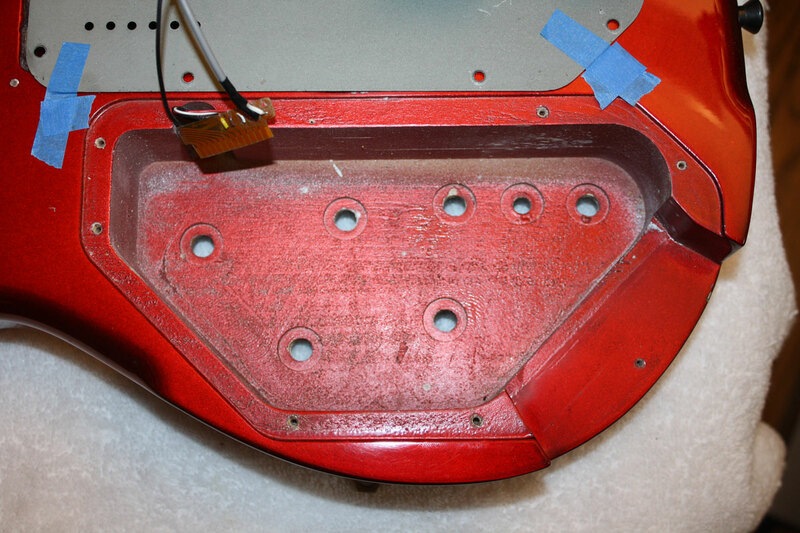 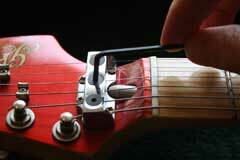 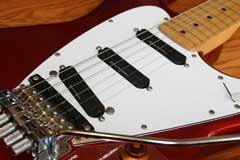 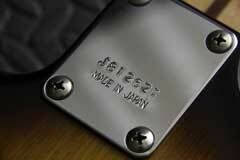 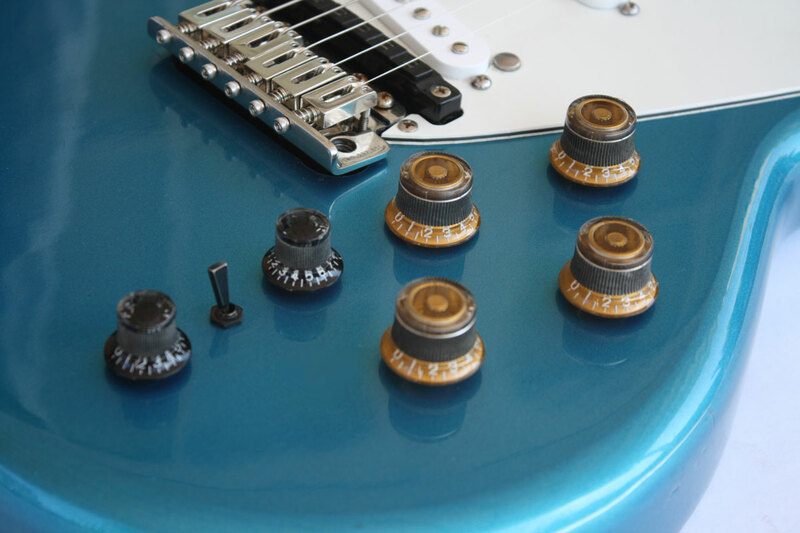 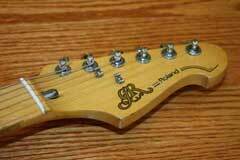 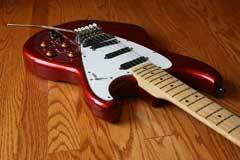 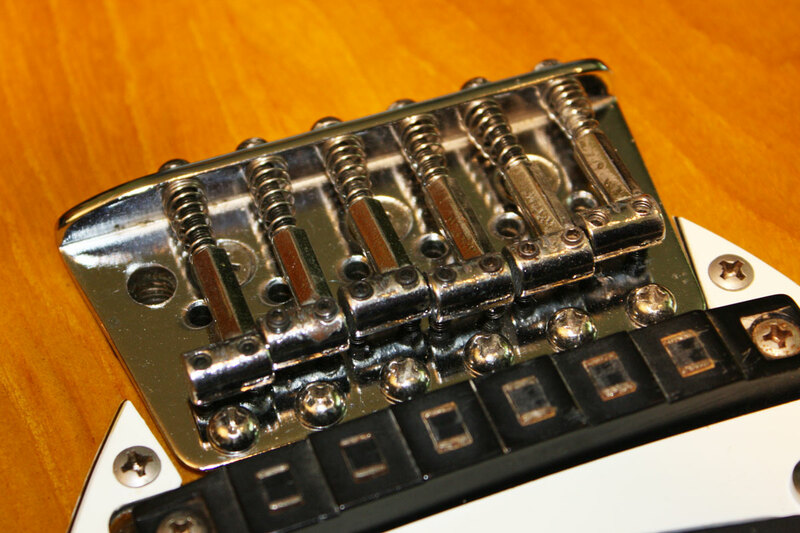 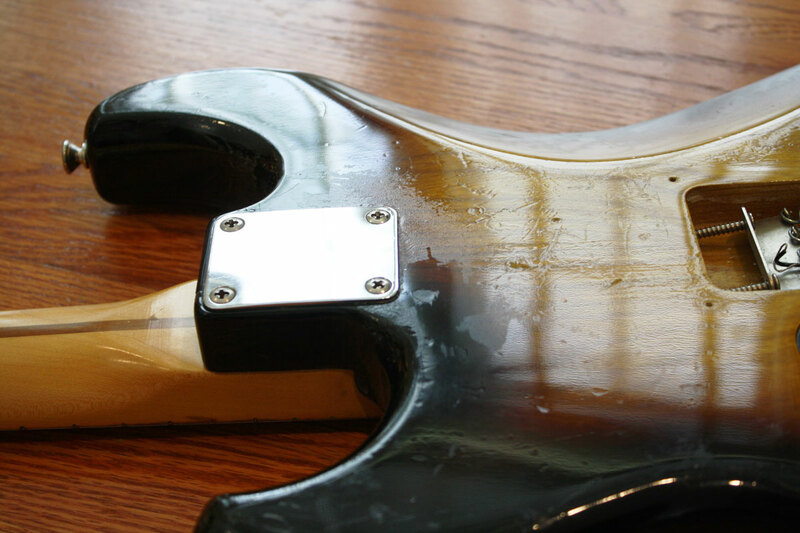 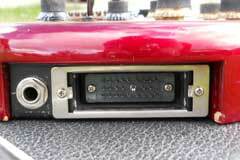 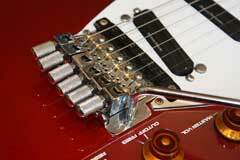 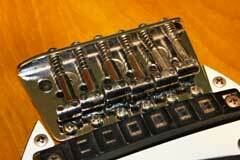 Single coil pickups, like those in the G-505, are almost always wired with 250K pots. 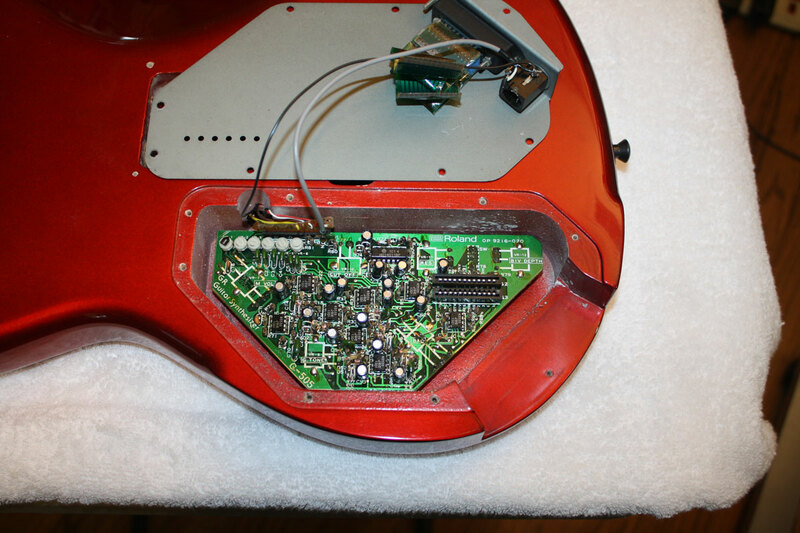 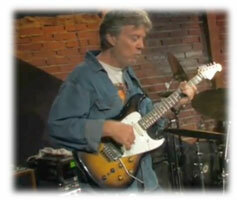 The 250K pots make for a warmer guitar tone, and tame some of the brightness associated with single coil pickups. 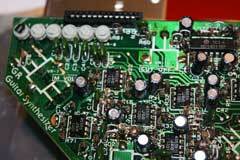 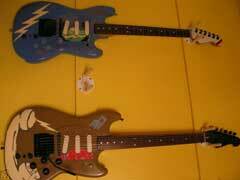 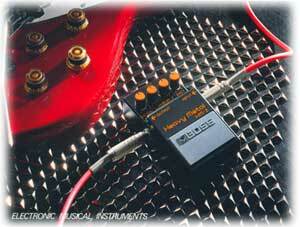 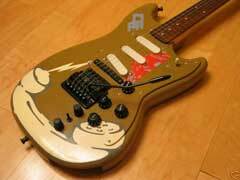 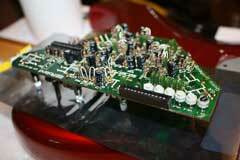 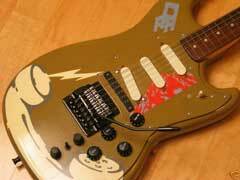 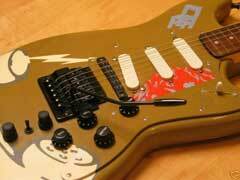 But the G-505 shares the same electronics card design as the Roland G-303 and G-808, guitars with humbucking pickups. 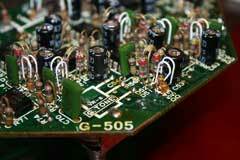 So the G-505 inherited 500K components in place of the traditional 250K parts. 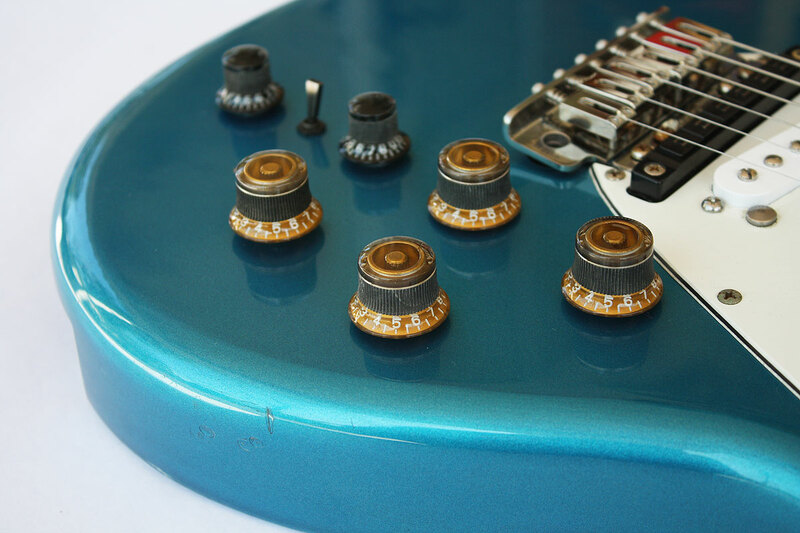 I have mentioned this curiosity to G-505 players when working on their guitars, but most everyone has told me they love the sound of the G-505, and would not want to make any changes that might effect the tone. And this is a good idea, since like all the vintage Roland guitars, the master volume control is a dual 50K/500K pot, to control both active synthesizer level and passive guitar signal. 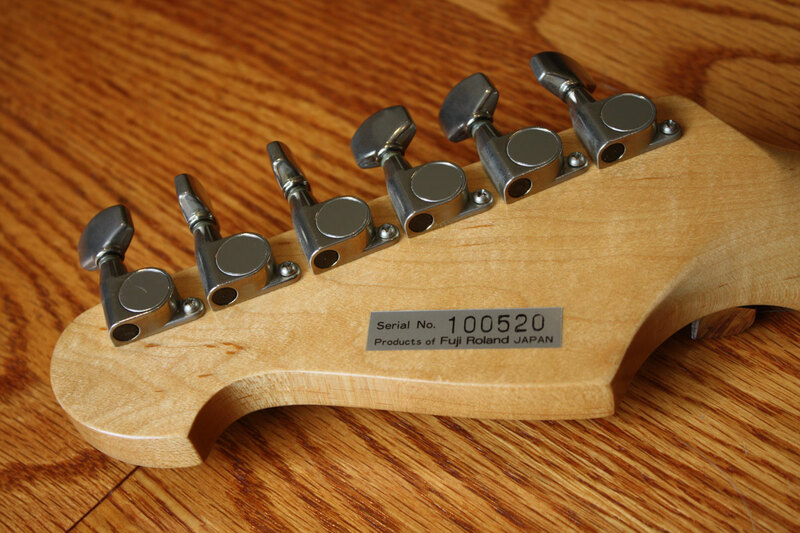 This part is difficult to replace, though Warwick does include this part in their catalog. 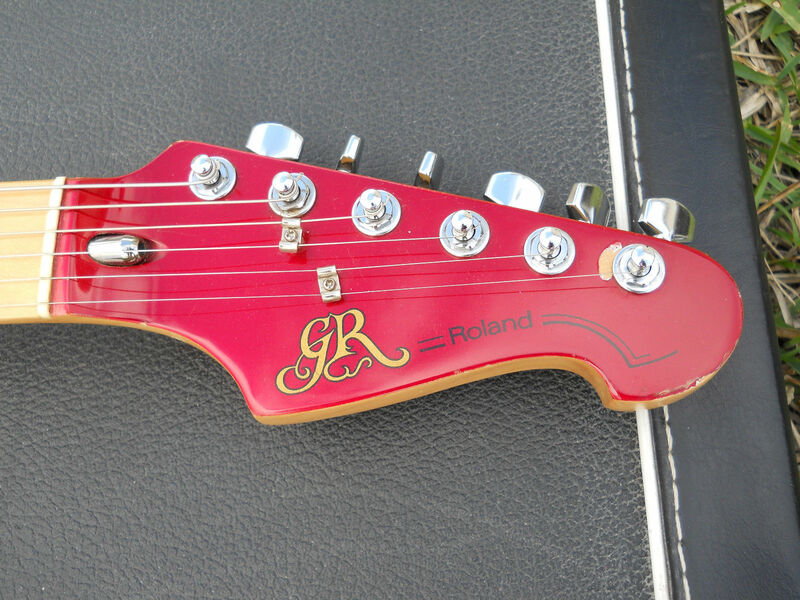 1982 Roland Product Brochure Featuring the G-505. 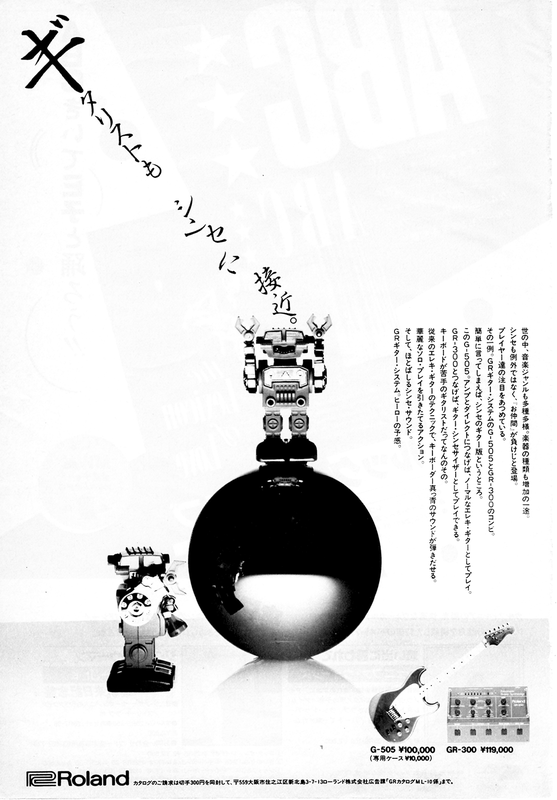 1984 Roland Product Brochure Featuring the G-505. 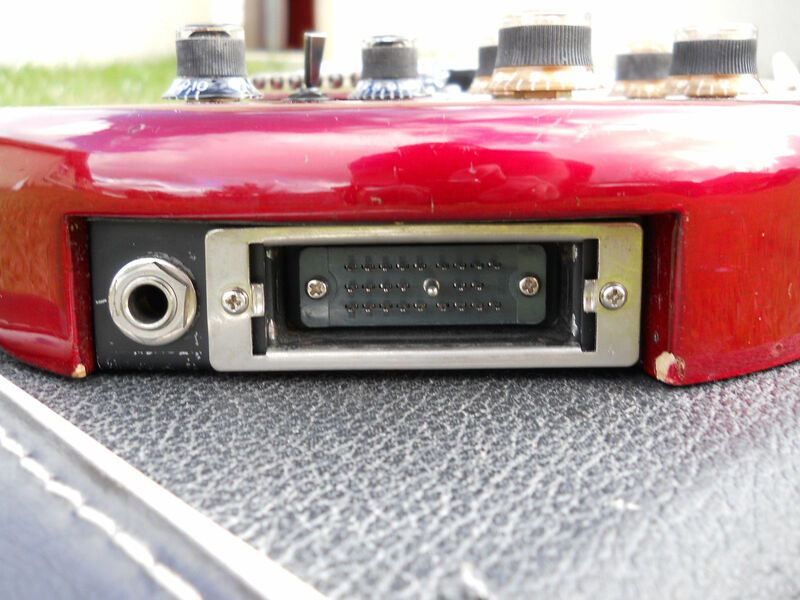 More information on modifying a vintage Roland G-202/303/505/808 for a brighter hex fuzz tone. 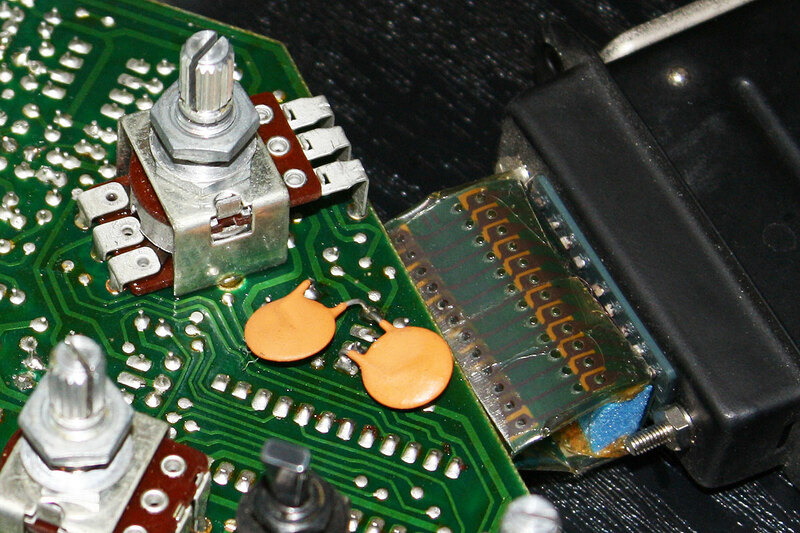 More information on the two versions of divided hex (synth) pickps. 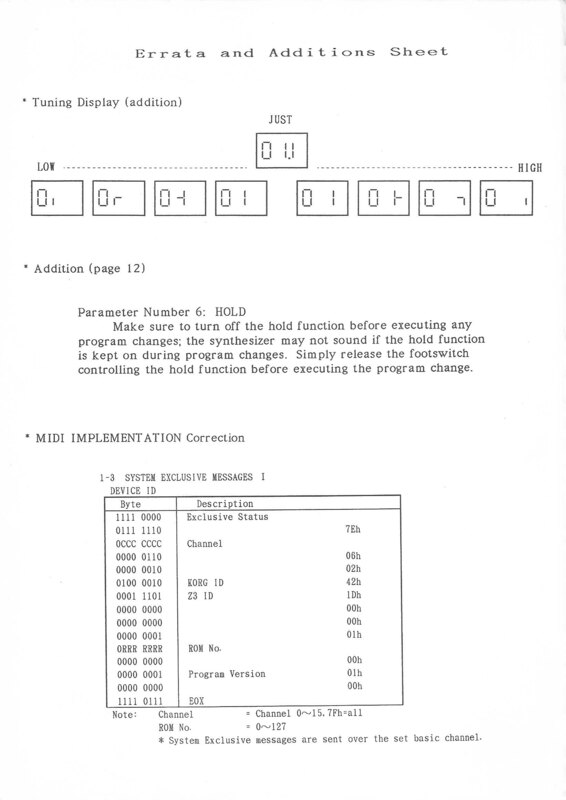 Download the G-505 Owner's Manual (pdf). 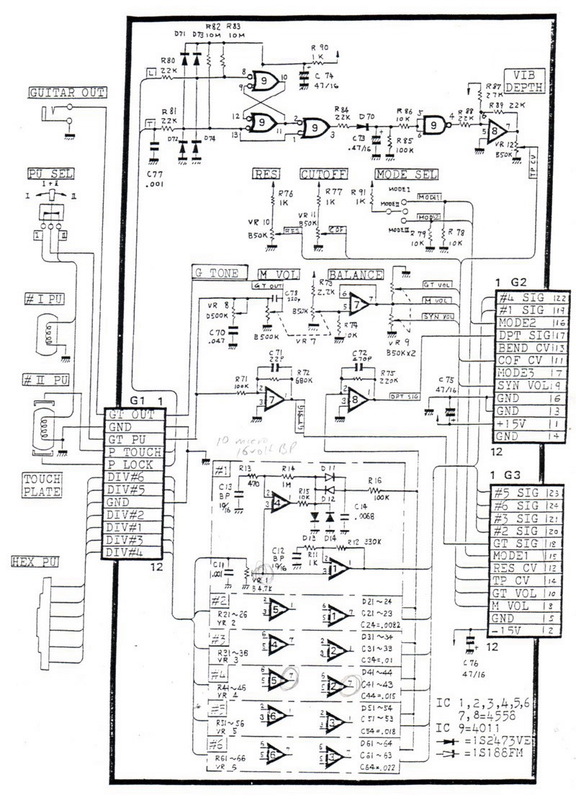 Download the G-303/505/808 LPK-1 Schematic (same schematic, following versions "B" and "C" for the G-303 and G-808). 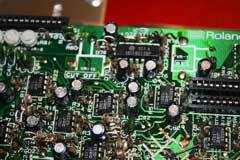 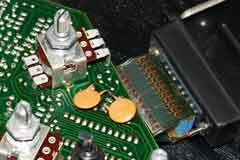 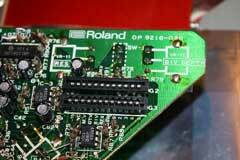 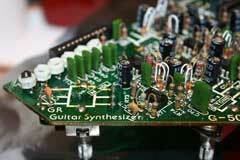 More information on modifying a Roland G-202/303/505/808 guitar for a brighter hex fuzz sound. 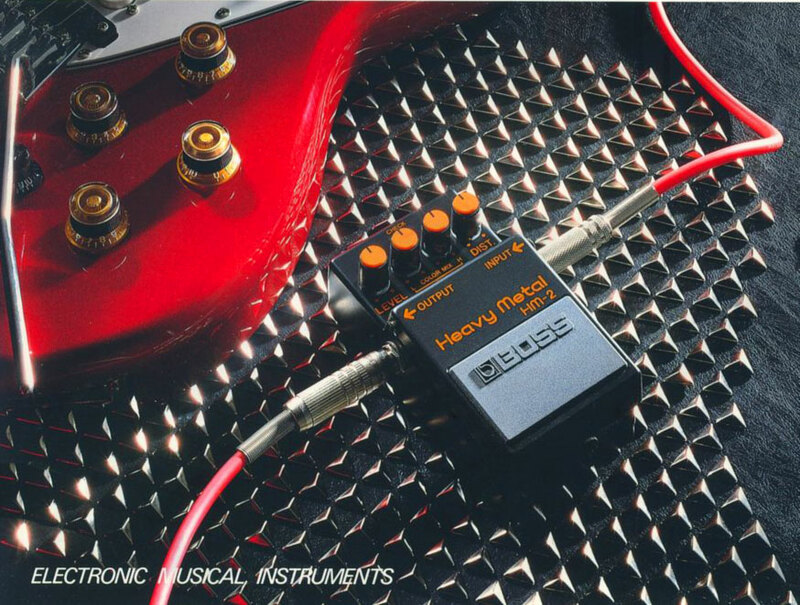 Roland notes that on the G-505 a noise can be heard when in either mode 1 (hexafuzz distortion) or mode 2 (hexfuzz plus VCO) when touching the LFO/vibrato touch pads. 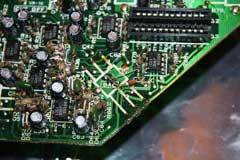 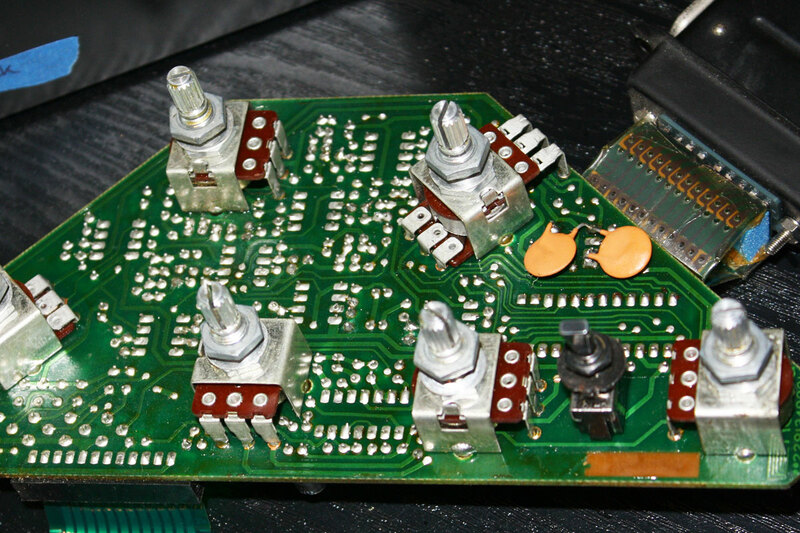 The solution to this problem is to add two 0.01uF capacitors to the G-505 circuit board. 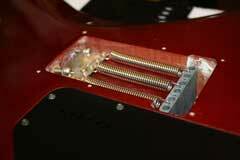 I'm not sure why this problem only occurs with the G-505, but my guess is this: the plastic pickguard can build up a static charge, and touching the LFO/vibrato plate may provide a discharge point. Check out the photos above. 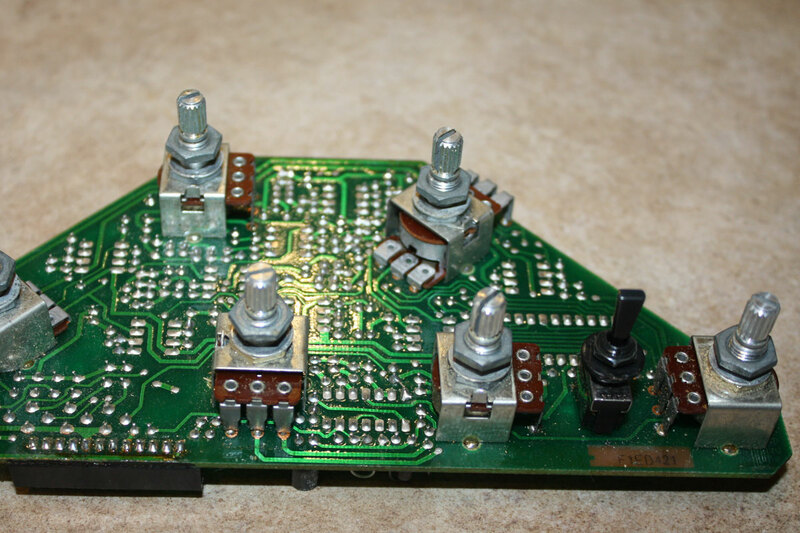 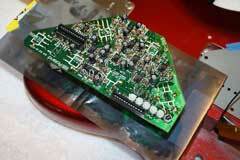 The first image shows an unmodified G-505 electronics card. 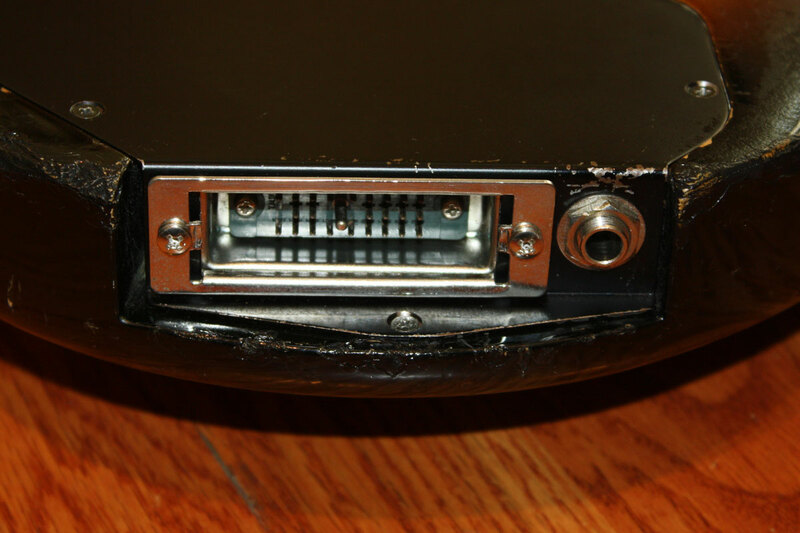 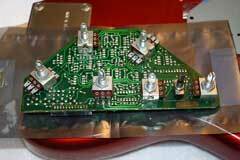 The next two images are of a G-505 card with two 0.01 uF capacitors added to reduce the noise problem. 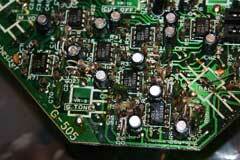 Download the original G-505 noise bulletin. 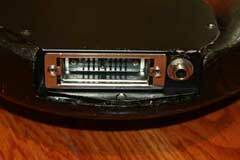 Download the G-505 Service Manual.